Via Dei Servi, Florence. 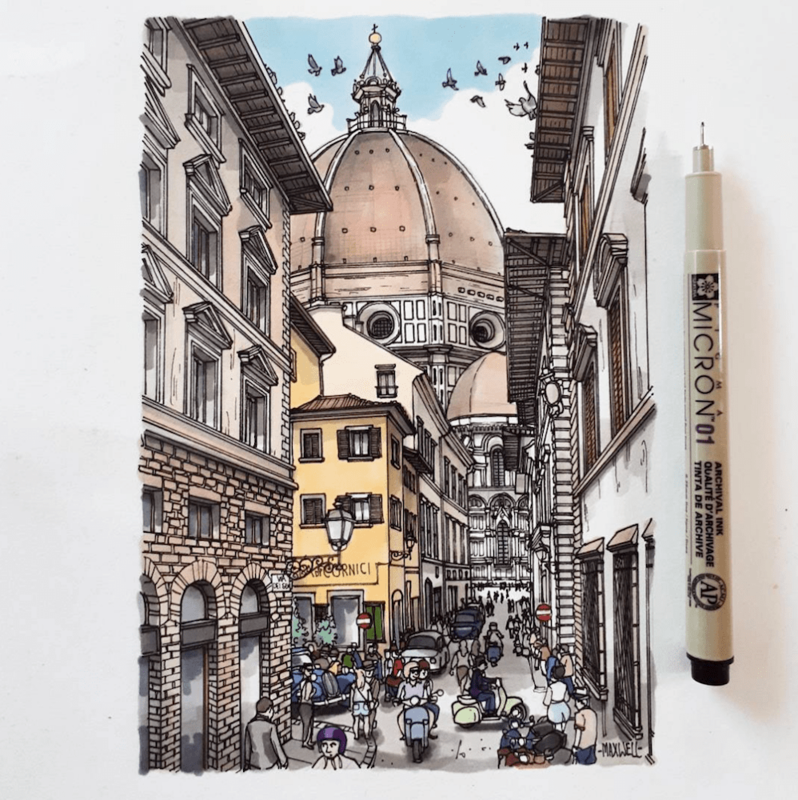 A small commissioned drawing of the famous street in Florence, looking towards Brunellechi’s Dome. I have not had the pleasure of visiting Florence before. The drawing was based off of several pictures given to me by the commissioner. The famous dome, part of the Cathedral of Santa Maria, was completed in 1436 and is still the largest masonry dome ever built. According to the History Of European Architecture, it is also the most important and influential architectural work built in Europe since the Roman era.